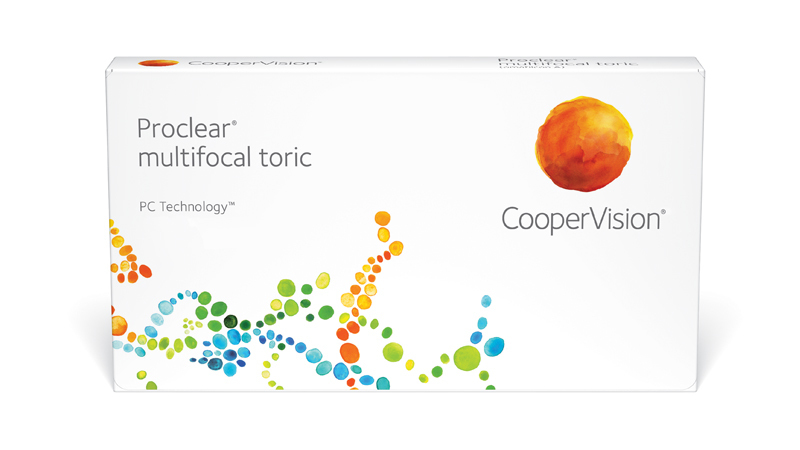 Proclear® multifocal toric lets today’s growing number of astigmatic presbyopes enjoy great vision at every distance. Easy to fit Balanced Progressive™ Technology combines spherical and aspheric optics and unique zone sizes to produce a "D" lens for the dominant eye and an "N" lens for the non-dominant eye. These two lens designs work together to provide a new level of vision quality. As with all CooperVision PC Hydrogel™ lenses, our unique PC Technology™ creates a unique lens material that attracts and maintains water, keeping the lenses moist and comfortable all day long.